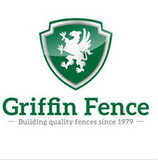 Griffin Fence Company has been installing quality fences in Houston since 1979. At Griffin Fence we promise that dependable service and integrity will be cornerstone of all your interactions with the company. It is our intention to deliver the kind of quality and craftsmanship we would expect at our own homes and businesses. We are a full service fence company - able to fabricate and install almost any kind of fence that you may be looking for. We specialize in quality-built custom fences for residential, commercial and industrial properties. Our professional and dedicated staff is available to answer all of your questions about our products. We have some of the most experienced and knowledgeable fence builders in all of Houston. The quality and workmanship of our craftsmen is matched only by our dedication to use the best of materials. We source our materials from only the best suppliers, and use the best tools and equipment to ensure top quality on our projects. That is why we tell our clients – don’t get just any fence – get a GRIFFIN Fence! Since 1995, Southland Fence & Supplies has been providing great services and responsiveness at the best possible value in the region. We provide custom, reliable, carefully designed, quality products for home-builders, homeowners, and businesses. Houston-based, family-owned and operated, Southland Fence & Supply Company is the top choice to build, install or repair your wood fencing, iron/aluminum, custom ornamental iron, vinyl fence, chain link, gates/access control needs of any kind. Our team brings years of experience with a unique sense of design, knowledge, and craftsmanship to every job – large or small. We're a professional Fence company who prides ourselves on quality of workmanship and materials. For more than 20 years, Architectural Fabricators has been creating custom gates, wrought iron fences and automatic gate access controls for area homes and businesses. We have our own fabrication team to deliver custom work on both protective and decorative installations. scrollwork photoWe are known for creating extraordinary artistry in our metal works, and use the finest galvanized steel that is specially primed and painted to lock out rust. Our hinge gate posts are the sturdiest installations you will find anywhere – we use 12-inch diameter posts driven down five feet. Some think that’s overkill but we know what works in Texas soil, and we want your gate to last for a lifetime! Our high quality standards are also reflected in our business partners. We use BFT Access Controls for our electronic gate operator systems because they prove their mettle even in the most punishing weather conditions. We also install Locinox 1,300 lb. magnetic locks on electronic gates for added protection. Talk to us about what types of access controls are right for your needs. Architectural Fabricators is known for going all out when it comes to customer satisfaction. And it shows in our A+ BBB ratings and our Super Service Award designation from Angie’s List. We guarantee our labor in writing for a full year, and will perform warranty work on the products we carry for free. 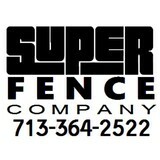 Call now for an estimate on security gates, driveway gates, fencing and hand rails. We also create high quality cedar fences and patio covers, masonry posts and a range of pier drilling services. Whatever your needs, we guarantee you will be a satisfied customer. We specialize in increasing a home's value and look by beautifying outdoor woodscapes including cleaning, staining, and installing all types of fences. Using proprietary low pressure cleaning and staining techniques we can restore and preserve woodscapes such as fencing, decking and pergolas. We also provide painting and restoration of wrought iron and metal fencing, as well as installation of all types of fence. Other services include cleaning of concrete, brick and stone surfaces such as driveways and homes. Life Saver Pool Fence Of Houston sales and installs the highest quality removable swimming pool fence on the market. If you own a home swimming pool, protect your children and pets by installing a removable swimming pool fence! Texas Fence is the service leader of Houston’s fencing industry. Since 2003, we’ve upheld the standard for excellent service. We use the highest quality materials, employ professional installation crews, and communicate with our customers throughout the entire process. Complete residential, commercial and farm and ranch fencing installation services. Including iron and steel fencing, wood privacy fencing, chain link fence, electronic access gates, farm and ranch style fence and animal containment. Exceptional service. Superior quality. Trusted experience. With projects completed in all styles and materials of fencing, our team is dedicated to providing you with the highest level of execution and customer service. Because customer satisfaction is our top priority, we will strive to assure you that your expectations are exceeded. Fence It Houston uses the best quality materials including Designmaster and Ameristar fencing. We'll also walk you through the entire process to provide you with as many details as possible to help you with your decision, and we'll give you a free estimate on your project. All of our projects are turnkey, so you can trust that there will not be any surprises on your final invoice. We also provide each customer with a 1-year labor warranty we stand by our craftsmanship. We biuld it. We guarantee it. Period. What you can expect when choosing Fence It Houston? 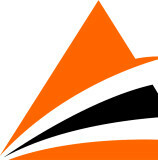 A company oriented and focused on earning and keeping your respect. Experienced professionals committed to providing the highest quality craftsmanship from start to finish. Quality materials purchased from reliable and reputable manufacturers. CSF has served Houston and its surrounding areas for over 30 years. We provide Iron Gates with operating automatic access controls system. We also install iron, wood, chain link fencing, balcony rails and other ornamental iron products. A fence company born and bred in Clear Lake, serving all of Galveston County and Lower Harris County areas. We are not your average “fence guy”. Clear Lake Fence & Construction is a professionally managed organization dedicated to constructing only the highest quality craftsmanship projects. Our team stays on top of new products, technology, and design styles. We thrive on custom projects and look forward to sitting with our clients to figure out exactly what they want their project to look like. We are an affordable, premier fence builder and installer serving the greater Houston, Pearland, Memorial, West University and other areas and have cultivated a low-pressure consultative sales environment. Your Missouri City, TX fence installation and repair professional will work with you to create your ideal fence. Find a fence contractor in Missouri City, TX on Houzz. Narrow your search in the Professionals section of the website to Missouri City, TX fence contractors. You can also look through Missouri City, TX photos to find examples of fencing and gates that you like, then contact the professional who worked on them.